Snakes and deer, oh my! Here's the snake that I almost stepped on the other night, down in the basement. 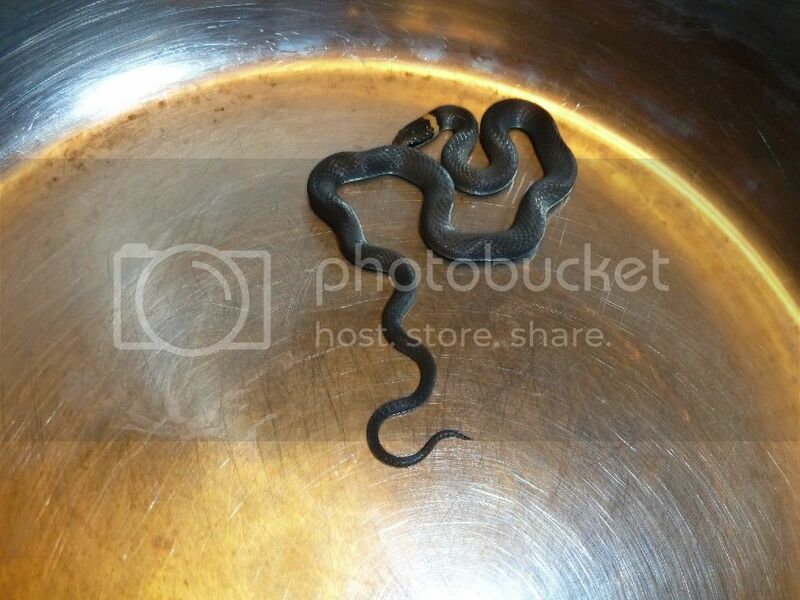 I stuck it in a cooking pot, as it was handy, and it was tiny, a young hatchling. I put on plastic gloves cuz I know from experience as soon as you pick up a snake, they exude this awful stench (aka piss) all over your hands. Yech! It was cute, and good thing to know, non-venemous. I released him in the pachysandra patch. 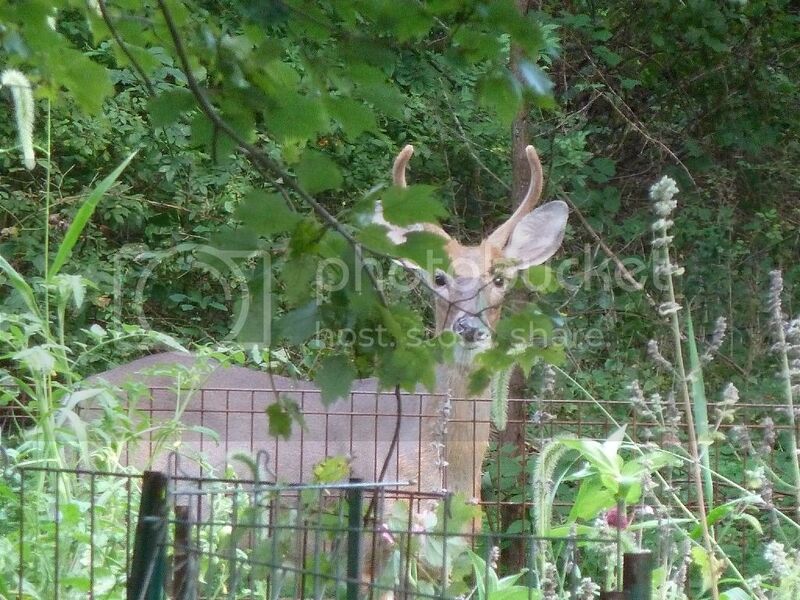 Meanwhile, I spied a young buck in the backyard. He glared at me, of course, although I was a distance away.